A recent survey released by Confused.com revealed that 27% of dog owners are planning a round trip of up to 101 miles to give their dogs a great day out. In fact 26% even said they plan to travel more than 201 miles (the lucky pooches). A huge 66% of dog owners admitted to changing their vehicles for a more pet friendly mode of transport with reliability for longer distances and almost half of the dog owners surveyed have considered the type of car they are going to buy with regards to the space it offers. All of this got us thinking, where are the most pet friendly areas of the UK? And so, as you may be planning your own pet friendly trip, we hope you enjoy our countdown of some of the best places to visit with your dog. So what makes Brighton & Hove so pet friendly? Located in South East England's coast, Brighton & Hove boasts 98 - yes, 98 - parks and gardens so you won't be stuck for places to visit. Mostly pet friendly, and those who aren't are clearly sign-posted. From the 1 May - 30 September six of their best beaches are dog friendly and are marked with signs in green and white while dogs are also allowed on the upper and lower promenade but must be on leads. While you're out strolling you will also find many of the outdoor cafes along the beachfront in Brighton and into Hove are perfectly situated to have a coffee with your dog. 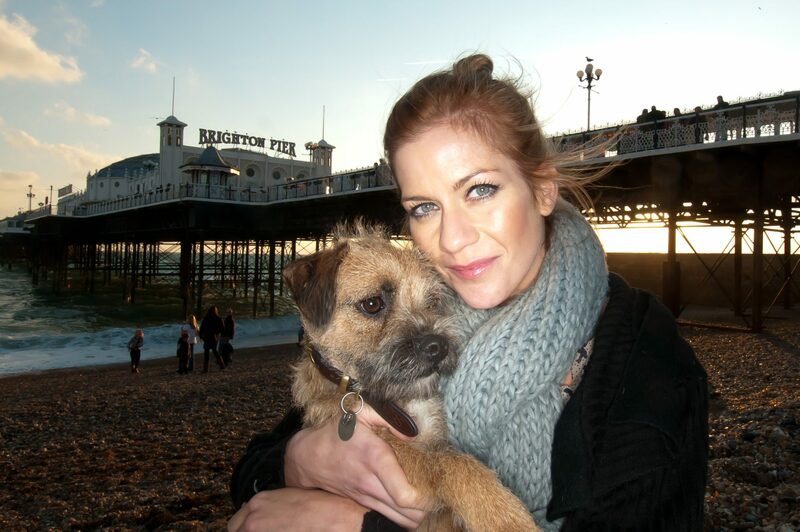 A huge favourite with K9 Magazine friend, Kate Lawler and her two dogs, Baxter and Kevin when they went to visit Brighton last year. Read Kate's own review here. The Lake District is the ideal place to bring your family pet along with you on holiday. Featuring England's largest National Park (Scafell Pike) - its highest mountain, Wastwater - its deepest lake and thriving communities like Keswick and Bowness-on-Windermere, it has everything you need if you're keen to hike, try rock climbing or go rambling in the lake district countryside. You can walk, cycle and splash about in the beautiful Lake District to your heart’s content. With more than 3,500 kilometres of rights of way and 12 of the largest lakes in England, there's something for everyone! Another perfect destination for an outdoor break, The Cotswolds, home to famous cities steeped in history such as Bath and well-known towns such as Cheltenham, is a paradise for outdooor pursuits and walking in the dog enjoying the rolling countryside and well suited for visiting with your dog. Amongst the treasures to be found in The Cotswolds are villages off the beaten track such as Painswick, Biddestone, Winchcombe or Woodstock, or an unspoilt historic church, such as at Northleach sometimes referred to as the “Cathedral of the Cotswolds” while up in Chedworth Woods you'll find a gem of a pet friendly pub, The Seven Tuns, considered by some as the best pub in The Cotswolds! On the South West coast of England, Devon has some fantastic beaches just waiting for your dog's paws to run on. Its wide open spaces, vast countryside and many coastline beaches make it the destination of choice for many a pet owner each year. Certain beaches are pet friendly at certain times of the year, whereas others such as Mill Bay, Salcombe North Sands, East Portlemouth, Strete Gate, Elberry Cove, Hele Bay and Watermouth Bay are pet friendly all-year round. If you're a fan of James Bond, you will have seen the hills and lochs of the area featured in the later scenes of the 1963 James Bond film 'From Russia with Love'. Argyll and Bute includes some of Scotland's finest dog friendly gardens welcome well-behaved dogs for a day out, including Achamore Gardens on the community owned Isle of Gigha where you can browse the 54 acre gardens! Discover more of the areas fantastic gardens here. We hope you've enjoyed our countdown. If you would like to tell us about your own pet friendly travels or put you and your dog forward to become reviewers for our Pet Friendly Britain series, please contact us and tell us a little about you!